Chelsea Spaniard striker is set for a return to Spain with Atletico Madrid. 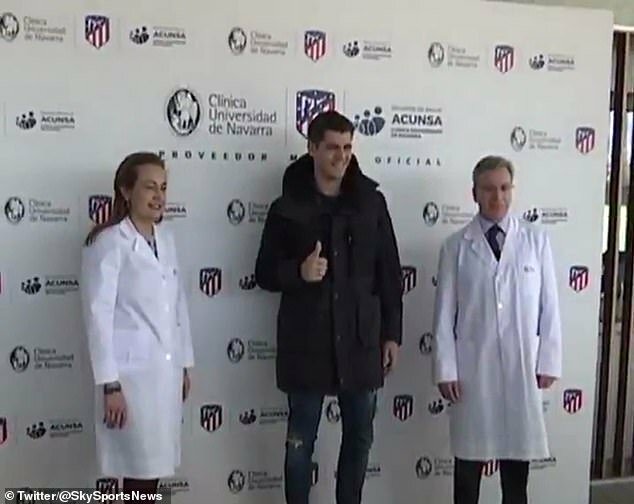 Alvaro Morata passes a Medical test ahead of loan move to Spanish capital. Sources in Spain claim the 26-year-old will seal an 18-month loan deal with last season’s Europa League winners after completing a medical. Morata has struggled for game time under Maurizio Sarri with the Italian preferring Olivier Giroud and Eden Hazard as the central point of attack. 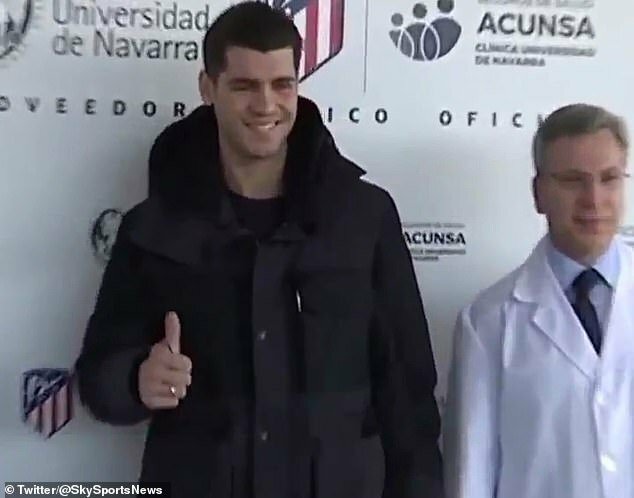 The Spanish striker has been looking for a way out of Stamford Bridge and Atletico have looked the most likely suitors all month. The signing of Gonzalo Higuain this month further pushes Morata down the pecking order and the forward has opted for a move away. Morata started his Chelsea career promisingly by scoring on his Premier League debut and enjoyed a purple patch in the opening months. His struggles though were evident in the latter half of last season though and his goals dried up as Chelsea missed out on Champions League football. That form has carried over into this season and Sarri has lacked the patience to persevere with the former Real Madrid man. Morata hasn’t scored a league goal for almost three months and has just five Premier League goals all season. A move to the Spanish capital sees him link up with former Chelsea forward Diego Costa – the man he was signed to replace by Antonio Conte. 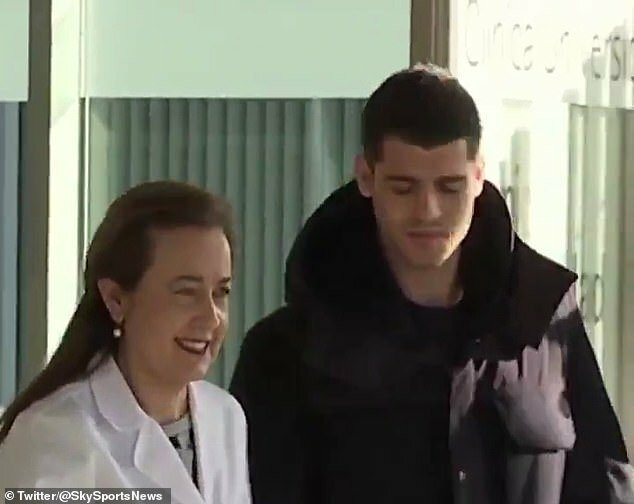 It will be Morata’s third spell in his native land after coming through the youth system at Real Madrid before he returned their after two years away in Italy with Juventus. The Italian club have just loaned Higuain to Chelsea with the option to buy should he be a success at Stamford Bridge. Elsewhere Chelsea could be set to lose winger Callum Hudson-Odoi after the young prospect handed in a transfer request on Saturday night. The 18-year-old is desperate to force a move through to German giants Bayern Munich after the Bavarians had several bids turned down. The transfer window has just days left and the Germans have been very vocal in their efforts to sign Hudson-Odoi which has angered Sarri. The Chelsea man has reportedly turned down a new contract with 18 months remaining on his current deal and sees his future elsewhere. Morata hasn’t given Sarri what he wants from his strikers. The 26-year old struggled a lot under Maurizio Sarri and couldn’t get an often playtime. He scored only five Premier League goals in all the seasons and wants a move away from the Stamford Bridge. By signing for Atletico Madrid he’ll return to his birthplace and link up with former Chelsea striker Diego Costa.